Winnipeg's South Sudanese community is appalled and demanding answers after police fatally shot a man some say was struggling with mental health issues because he was separated from his family. "It's devastating, it is sad and we in the community here, we condemn it," Martino Laku, president of the Council of South Sudanese Community of Manitoba, said at a news conferences Monday. "This guy fled his home to be here safe with his family but eventually his life ended in this way." The community group blasted the Winnipeg Police Services for the shooting death of Machuar Mawien Madut on Saturday. The group identified Madut, whose relatives and friends attended the emotional conference to share their concerns. The Independent Investigation Unit of Manitoba has taken over the probe into the incident, the third shooting involving a Winnipeg police officer in 2019. 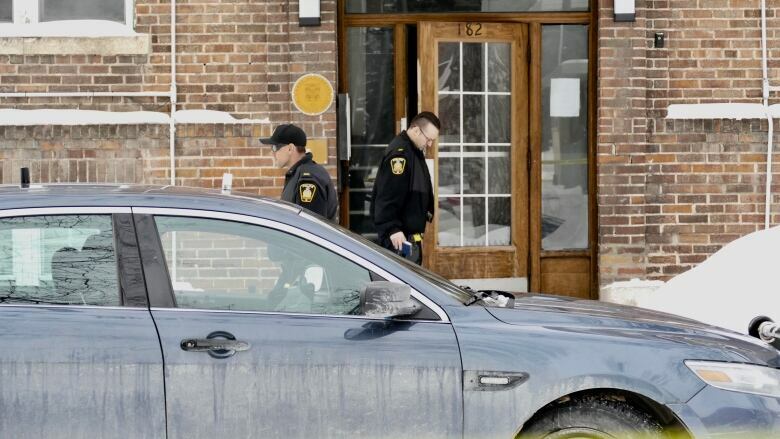 The IIU says police were called to 182 Colony St. at 9:43 a.m. to answer a report of a man armed with a hammer potentially breaking into a suite. 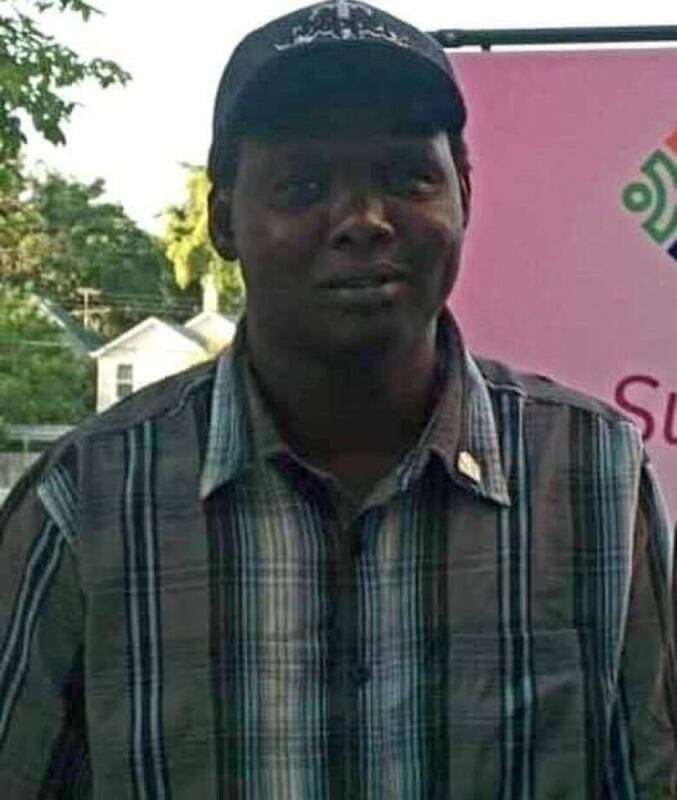 Madut, 43, was taken to Health Sciences Centre but later died, the IIU said in a release Monday. On Monday, Winnipeg police declined further comment on the incident. A WPS spokesperson stated their policy on lethal force states that its use is justified when the life of an officer or other person is in immediate danger, or the police member or another person is in immediate danger of grievous bodily harm. Sandy Deng, a member of the community, doesn't accept the police explanation for what happened. "It breaks my heart," she said. "This is a typical stereotype for a lot of people who come from marginalized communities, because there's always a justification for a shooting. "He was a human being. He was supposed to be supported. He was one day away from seeing his mental health specialist, and instead of mobile crisis being called, the police were called." Madut and his family came to Canada in 2003 fleeing war in Sudan. Madut had four children but they moved to British Columbia with his wife after the couple separated a couple of years ago, said Deng. He had struggled with mental health since then, family and community members said. He wasn't fluent in English, Deng said, but he would never pose a threat. She said everyone wants to know why police used lethal force on a "sick and non-violent person". "Machuar was a very kind man, very quiet," said Deng. "He came to the community here all the time to hang out, he never really bothered anybody. Apart from that, he had been living with a lot of challenges, including mental health, language barriers, adjustment to this new community." The group said it was working just last week to co-ordinate support with health experts to help Madut with his mental health problems, adding the Winnipeg Regional Health Authority and representatives from the province's Employment and Income Assistance Program were also involved. On Saturday, Madut had been noisily moving furniture out of his apartment for some reason, Deng says, noting another member of the South Sudanese community lived there and witnessed it. "So he was going through a distress, visibly, for sure," she said. "Mobile crisis [response] should have been called but nobody did." A cousin, Ayei Madut, said he was helping Madut through his mental health struggles. He said they both lived in the same apartment and Madut was dealing with a broken door last week. Madut's cousin planned to swing by and pick up him for an appointment Sunday. By the time he heard Madut was moving things out of his apartment the entire building had been taped off by police. "I just got the news that he's been shot dead at the end of the day, so I have no clue what went wrong, how the confrontation took place," he said. Madut's cousin questions why police responded with lethal force. "I'm really not trusting the police, because we assume they have all the resource how to deal with people with mental issues, with different background," he said. "For me I can't even trust them because this situation, I could do it better than whatever they did." Alexa Potashnik, president of Black Space Winnipeg, expressed skepticism toward Winnipeg police, in part, due to how few details have been released. "This just unfortunately is a reminder that police brutality and violence happens in all areas across our country and we need answers," Potashnik said. She said she doesn't know the details but says there is no excuse for what happened. 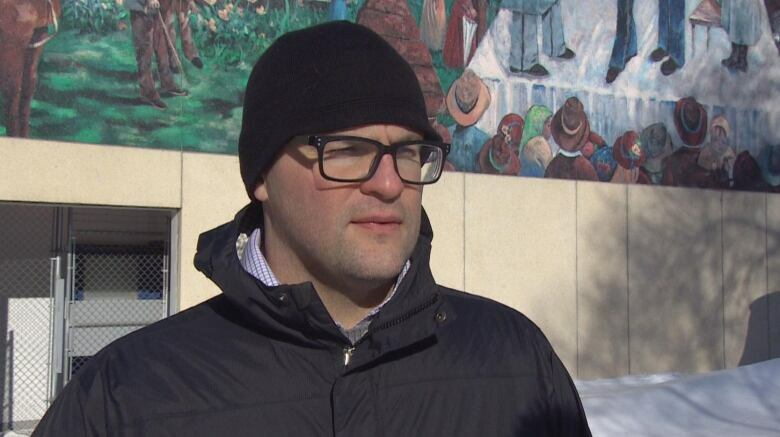 "There's no justice or accountability from the Winnipeg police department and this is unacceptable and it's an inexcusable act of violence toward the South Sudanese community, toward the black community," Potashnik said. "We're not going to take this lying down and we're going to show up and demand justice for our community." Kevin Walby, an associate professor of criminal justice studies at the University of Winnipeg, said the public is likely to feel left in the dark without more information from police. "I think a lot of people are going to feel let down, they're going to feel like maybe they can't trust police anymore, especially when police are so tight-lipped about everything," he said. Walby said it's worth asking why armed police are being sent to what potentially could've been a mental health call. "It raises big questions about what's happening with police deployments with police use of force," he said. "Are there not crisis response units that could've been called, could we not have integrated response teams where it's not police with a gun on their hip that are first through the door and they might escalate the issue?" The Council of South Sudanese Community of Manitoba is holding a rally Friday outside police headquarters to demand answers "and shed light into the gaps that we have in mental health services and how police officers might not be well-equipped to deal with people with mental health issues and language barriers."